Every drop shipper or a brick and mortar retailer wants to earn money from their venture. But you can only profit from your business if you can increase your sales and decrease your costs. 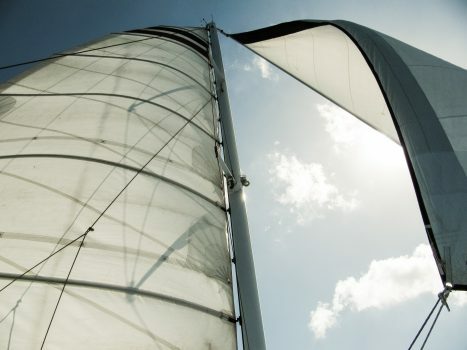 We have already covered some great tips that will help you increase your sales as a drop shipper in one of our blog posts. One tried and true method to boost the sales figures is selling according to your customer needs. Today we will look into another way of driving up the sales – selling products that have a high rating! Why Is It So Important To Find Highly Rated Products? A drop shipper does not see the products he is selling. So your best bet is to sell goods that have great product rating on big websites like Amazon. As you do not have control over product quality, looking at highly rated products will bring in more sales and fewer returns! Moreover, products that have a large number of reviews and questions will help you to answer customer questions. The rating and reviews help you to get a better understanding of the product. So, if any customers inquire about the product, you might actually have the right answer despite not having the item. This will help you get more sales! How Do I Find The Highly Rated Items? 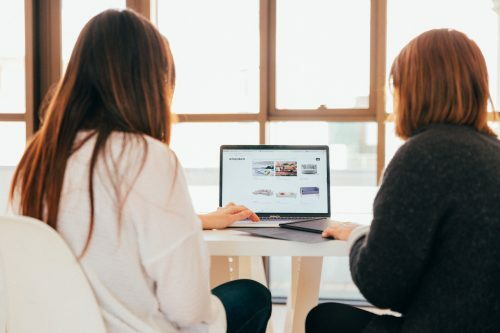 Online consumer marketplaces are a great source of profitable product ideas. Amazon is the largest online retailer, so it is usually where you can find your next product. Amazon has plenty of tools that can help you discover the items to sell. Search for any item by name on Amazon. Scroll down the results, and look at the left side of the web page to find “Avg. Customer Review”. Select the 4 stars and up option. Your search is now filtered to show items with good ratings! What To Look For In The Customer Reviews! The next step is to look at the reviews of the product. It is one of the most vital parts of product research! Detailed customer reviews are also almost always the ones that most people found helpful. One line reviews like ‘It’s awesome!’ doesn’t give you much information and it is best to avoid them. When the product has thousands of reviews, looking at the top reviews is the fastest way to gather information! 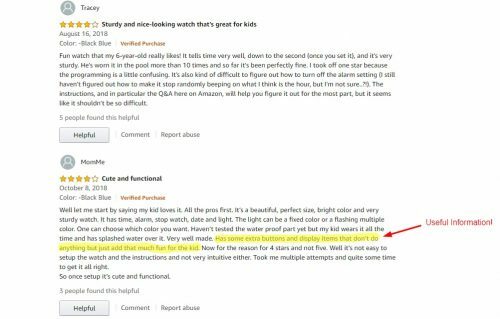 These reviews will help you to find the real characteristics of the product, sometimes even those that the seller did not list! Going through the reviews will give you a clearer picture of the good and bad sides of the product. 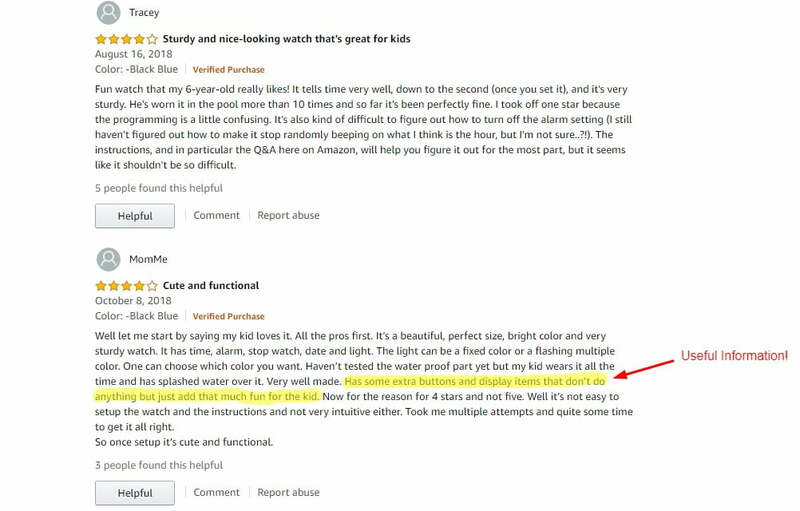 Moreover, you should try to include the good part of reviews in your product description. 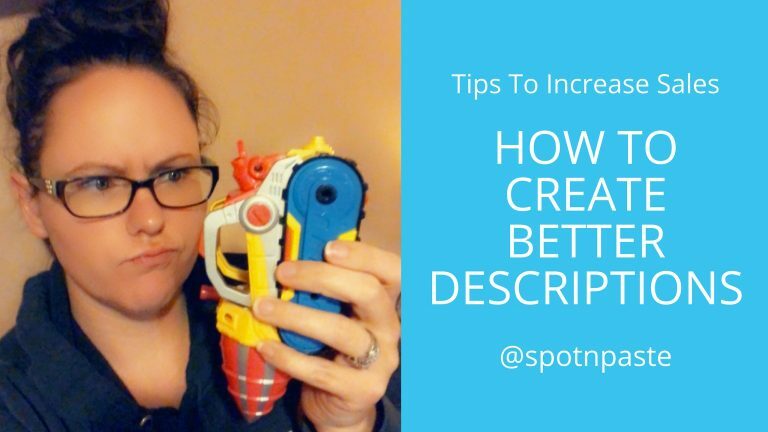 You will be able to create a unique product description that will stand out from other sellers. The more detailed your product description is, the more your conversion rate will be! You can also try to find if there is any common problem bugging the product. Avoiding such products can help you cut down the product return rate. Overall, good product research will help you greatly with customer service down the line. 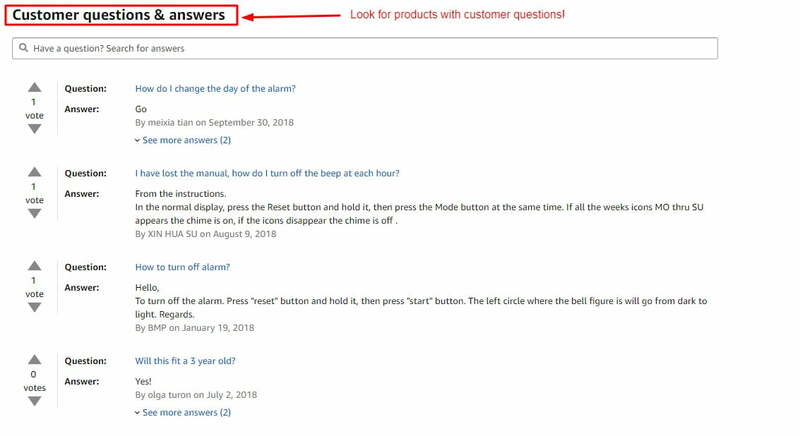 Look For Products With Customer Questions! Here things get interesting. 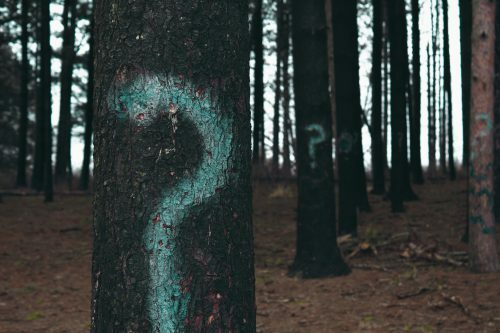 You will get the most information on products whose supplier allows potential customers to ask questions. Look through the questions and their answers so you can get a better understanding of the item. This will also help you grasp the shortcomings of that product. 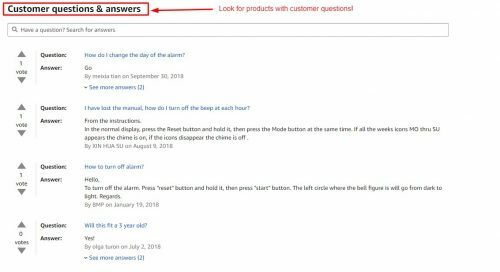 You might even be able to create an FAQ on that product just from looking at these questions. This will reduce customer service effort for you! Where Else To Look For Products? Other than filtering highly rated products, you can also look at the top 100 products! Amazon Best Sellers: Updated hourly, the Amazon Best Sellers contain the bestselling items on the website. These are the most popular products based on sales. Here you’ll find the categories and subcategories of all the products on Amazon. You can shortlist products and niches to research further on these from there. Amazon Hot New Releases: This is pretty much self-explanatory. The Amazon Hot New Releases lists the best-selling new and future releases which have reached a notable amount of attention. These include products across many categories. You can find them by clicking the required categories on the left-hand side of the page. This page is also updated hourly. The advantage of selling Amazon Hot New Releases products is that these products are at the start of its selling life. These could be a potential big seller for the days to come! Amazon Movers & Shakers: The Amazon’s Movers and Shakers list the products that have made the biggest gains in sales rank over the last 24 hours. Since things change so quickly on Amazon, this page is also updated hourly. While it might sound a lot like the Amazon Best Seller page, there are some key differences. Amazon’s Movers and Shakers focuses on the number of sales, so it shows what’s currently popular and trending. Amazon Most Wished For: Amazon Most Wished For compiles the list of top-rated items that are most added to Amazon Wishlists and Registries by shoppers. In layman’s terms, it includes all the products that are the most desired item on Amazon. This curated list of most wanted items is one of the best places to start looking for your next product! In the end, it is vital to remember to look beyond the products themselves when searching for new product ideas. Rather than only looking at the product, you should look at the product category. Think about the potential, new markets and ways of using the product. Since there is heavy competition for the trending products, choosing a unique angle can be the key to your success.